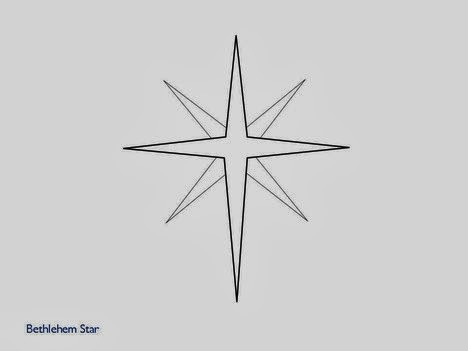 The Star and the Cross...the Same? What symbolism! Have you ever looked at the ‘star’ we place on the tree or reflect above the manager scene? Is it a coincidence? Is it a prophetic symbol? Yes, I know that the star was the light that shone above, to guide the way. But let’s look closer at the star! 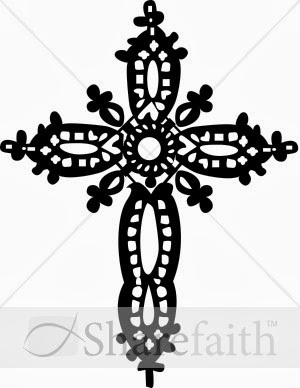 Is the shape that of the cross? 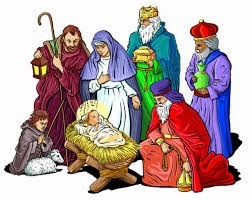 Does it not only point the way for the wise men and shepherds to follow, but also the life of the Christ Child, for us in the future to follow? Wow! How many times have we gazed upon the stars in the sky and all His creation? Are they telling us the story of old? The star in the sky, on that Holy Night, reflected the love of God. Not only did He love His Son, but He loved mankind. The light itself was reflecting that love from the heavens to earth, leading the way to the cross. The star was brighter than anything the heavens had ever seen. The cross would become,due to sin, the darkest they would ever see, turning the sky black for three hours. Luke 23 says, "And it was about the sixth hour, and there was a darkness over all the earth until the ninth hour. And the sun was darkened." Man has tried to explain the darkness that fell over the earth, but the time of Jesus crucifixion was at Passover, celebrated at the time of the full moon. This star and the cross, both shaped the same, both showing the love of God....through His Son, Jesus. The star gave hope to those who came. They saw the Christ Child, the Promised One, the Messiah. 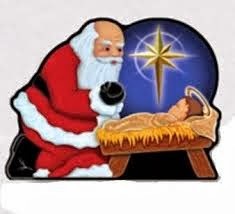 The star shone down from the heavens, leading mankind, showing the way to baby Jesus. Then, one fateful day on Calvary, that star became the cross. Yes, it still showed the love of God, through His Son, Jesus. The cross still gives hope to those who come, seeking Jesus. As Jesus hung on the cross, the light of the star took on our sin, turning to darkness. As the life of Jesus ebbed out of Him, so did the light, because of sin. The cross leads us back to the light. John 1:4 "In him was life, and the life was the light of men." The star long ago, shining so brightly, was celebrating the birth, the beginning of salvation for you and me. The cross, covered with darkness, was the ending of the payment of sin. This brings us back to the light and love of God, for in Him there is no darkness. Both symbols the same, yet so different. Did those who looked up in the night sky see a star, or a mere reflection of the cross to come? Either way, let us celebrate them both with the gladness and excitement for the hope that both of them give to us through Jesus! For it is in Him that the only true light can be found!! Santa and Jesus, Both are coming! Lights are twinkling in the neighborhoods, sweet aromas drifting through the houses. Yes, it is the time of year, where the laughter is heard throughout the house and the excitement of checking out the beautifully wrapped gifts under the tree! I remember one year when our daughter, Kara, came to me and in a quiet, low voice told me her two younger brothers had apparently opened all their gifts under the tree and rewrapped them. She could tell by the retaped paper. No, I did not ask her what she was doing, snooping under the tree herself! As the day came to open Christmas gifts, the house filled with excitement. We passed out all the gifts and as our tradition, we took turns by opening one present at a time. When the oldest of the young boys, Todd, got his gift, he grinned and shook it and said, "I sure hope I get a game!" (which was what he thought was in the box!) However, when he opened it and saw that there were only rocks in the box, he looked puzzled. I gasped and said, "What? You didn't open your presents before Christmas did you? When you open them before Christmas, they turn to rocks!" (a panic came across both Todd and B.J. 's faces!) We proceeded until the next 'gift of rocks' was opened. It was beginning to look like a very dismal Christmas for the boys! They had such a disheartened look on their faces, it broke my heart. Going into the bedroom, I pulled out a box that contained the original presents. The boys knew they had been caught, but had been forgiven. What started as a festive occasion, turned into fear and dismay, ended with peace and gladness....and love. Christmas is a time for festivities, family and food. I love the reuniting and the laughter of the little ones enjoying the new toys. I do not have a problem with Santa coming to the children and spreading joy. It is an innocent way of families showing their love in a silent way. Santa gives the gift with no expectations of receiving one in return. This is true love. But, let us remember the truth of the celebrations. That one time there was a baby that was born, the beginning of salvation for you and me. The gifts He brings to us are eternal life, Himself, and the daily Presence of the Holy Spirit....all from God the Father. We know the things God the Father gives us will never turn to rocks, they are eternal. Let us all be as children this season! Excited about the Christmas holiday! Looking forward to the sighting of the love that is shone by giving of gifts. We as Christians know that we celebrate the birth of the Christ Child, but we also know that we need to look up. He is coming again. Let us anticipate, with the childlike excitement, His return. Is that Santa breaking across the sky in a sleigh full of gifts or could it be the Son of God, coming, bearing His gift of eternal life? Are you registered? Census, taxes, insurance? Whenever we turn on the news, we hear the newest updates...good or bad...about the upcoming insurance plans. People having trouble registering or costs challenges. Some folks are already talking to their tax accountants, as the end of the year approaches, trying to take care of business before this year closes out. What if...just what if, we had to return to our family's hometown and register for the census? What if it was required, not just suggested? It would cause even more hardship on families, because we are such a migrating and moving people. Every generation has to deal with governments and laws. Am I saying I agree with each one, absolutely not! But there have been decrees through the ages that have changed who we are, whether good or bad. As this Christmas season approaches, we hear about the birth of Jesus in the small town of Bethlehem. We know the story. But it brings about the question "Do you know Jesus?" Is your name written (registered) in the Book of Life? This is the only registration that will make a difference for eternity. Revelation 20:15 declares, “If anyone's name was not found written in the book of life, he was thrown into the lake of fire.” The Book of Life is the set of names of those who will live with God forever in heaven. It is the roll of those who are saved. This Book of Life is also mentioned in Revelation 3:5; 20:12; and Philippians 4:3. The same book is also called the Lamb’s Book of Life because it contains the names of those who have been redeemed by the blood of the Lord Jesus (Revelation 13:8; 21:27). How can you be sure your name is written in the Book of Life? Be sure you’re saved. Repent of sin and believe in the Lord Jesus Christ as your Savior (Philippians 4:3; Revelation 3:5). Once your name is written in the Book of Life, it is never erased (Revelation 3:5; Romans 8:37-39). No true believer should doubt his eternal security in Christ (John 10:28-30). Think about the Christmas celebration throughout eternity! It can happen! Praising Him who was born in a manger, in a little town called Bethlehem, forever. Make sure your name is registered! What a reason to celebrate! While shopping before Thanksgiving, I noticed the gala of the holidays happening in the stores: Trees glistening, trains and baby dolls, candies for baking, etc. The excitement starts to build in not only the stores, but in our homes and hearts. The Christmas season seems to start earlier and earlier in the stores and the malls. We see friends and families starting to put their own trees up, before one holiday is over, to begin the celebration of Christmas. Our children have started their own traditions in their homes. One of our daughters in law places a tiny plastic pickle, hidden somewhere deep in the tree, for the children to find. The first one to spot the pickle gets to open the first present on Christmas morning. Our little granddaughter was literally lying under the tree, looking up, trying to find the green pickle! We have laughed and joined in the fun of the holidays as we have seen the twinkle in the eyes of our grandchildren as they have discovered the joys of Christmas. 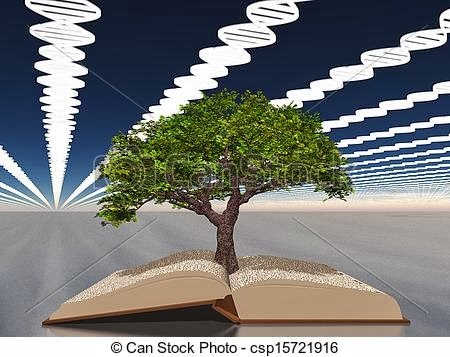 How would the birth been different, if people had known long ago? Would they have decorated the town of Bethlehem? Would Jesus have had a bed fit for a King? Since we now know He was/is the coming King, should we celebrate all year long? Should we be as excited about Jesus in January as we are in December? The answer would be to keep Jesus in you heart all year, sharing His love with others. Let us, as Christians, not let the secular world beat us when it comes to celebrating Christ! When people come to your home, do they know Jesus lives there? The way we live our lives, do people know Jesus lives in your heart? The way we dress, talk and act, do we glorify Him? Let us begin today, not only to decorate our home for the Christmas season, but let us begin to decorate our 'hearts'. Let us begin to show others His love when we walk out our doors. Let us show in the decorations in our home, in our hearts and in our lives, that Jesus Christ is our Savior and Lord. Let us begin to let the joy of Jesus be shared all year long. May our life, actions, and works glorify our Father in heaven!